Luxembourg has taken note of the decision of the European Commission in the HUHTAMAKI case. 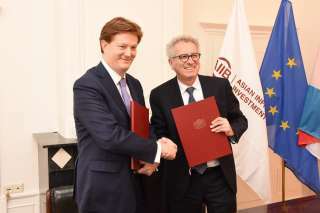 The Minister of Finance, Pierre Gramegna, the Chairman of the Board of Governors of the University of Luxembourg, Yves Elsen, and the Rector of the University of Luxembourg, Stéphane Pallage, signed on 11 October 2018, a letter of intent to promote research and training in the field of sustainable finance. 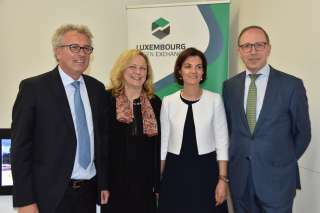 Pierre Gramegna and Carole Dieschbourg present the new "Luxembourg Sustainable Finance Roadmap"
On Thursday, October 4, 2018, the Minister of Finance Pierre Gramegna, the Minister for the Environment Carole Dieschbourg and the Head of the Finance Initiative of the United Nations Environment Programme (UN Environment) Eric Usher presented the new "Luxembourg Sustainable Finance Roadmap" (LSFR) and its recommendations. Luxembourg has taken note of the Commission's decision in the McDonald’s case, which confirms the absence of a selective treatment and state aid incompatible with the internal market within the meaning of Article 107 (1) of the Treaty on the Functioning of the European Union. The Luxembourg Government has decided to appeal the decision of the European Commission in the Engie case. 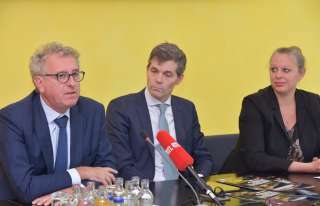 In accordance with the Commission’s decision, Luxembourg will recover the alleged aid, pending the outcome of the legal proceedings. Luxembourg has taken note of the decision by the European Commission in the ENGIE case, announced on June 20, 2018. 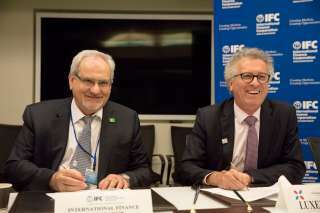 IFC, a member of the World Bank Group, and the Grand Duchy of Luxembourg announced a new partnership program to support economic growth and development in emerging markets. The Luxembourg government has decided to appeal the European Commission’s decision in the Amazon case. Luxembourg has taken note of the decision by the European Commission in the Amazon case. Luxembourg will use appropriate due diligence to analyse the decision and reserves all its rights. On April 5th, 2017, Pierre Gramegna received his homologue Avdullah Hoti at the Ministry of Finance in Luxembourg. The Luxembourg government today has decided to appeal the European Commission’s decision in the Fiat case, in order to seek legal clarity and previsibility on the practice of tax rulings.